Great track car with sharp handling and 911-rivalling acceleration. One of the best looking Porsche Spyders. Thunderous soundtrack. You'll need at least £80,000 to buy a used one. Roof is fiddly to raise and lower. Firm ride. 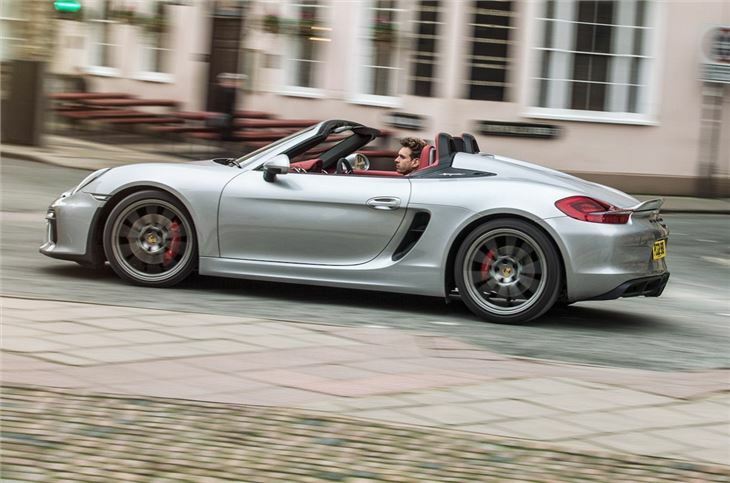 With eye-catching good looks, a thunderous noise and a top speed of 180mph, the Boxster Spyder is the diminutive supercar experience. 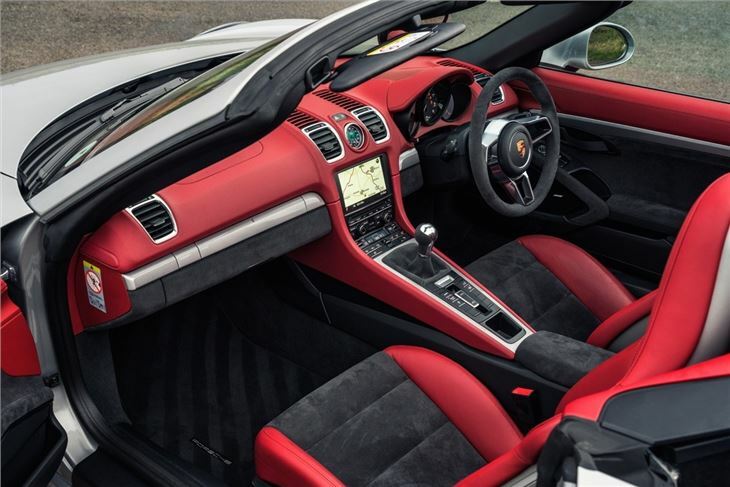 At £60,000, it isn't cheap, but few roasters get anywhere near the performance or reward of the 911-powered Spyder. 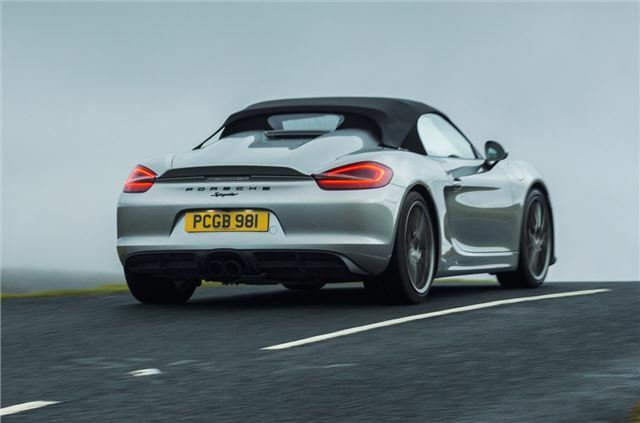 The key to the Boxster Spyder's performance is found in its mid-engine set-up, which utilises the same six-cylinder engine as the 911 Carrera S. As a result the Spyder is supercar quick, with its 375PS 3.8-litre engine producing 420Nm of torque and covering 0-62mpg in 4.5 seconds. 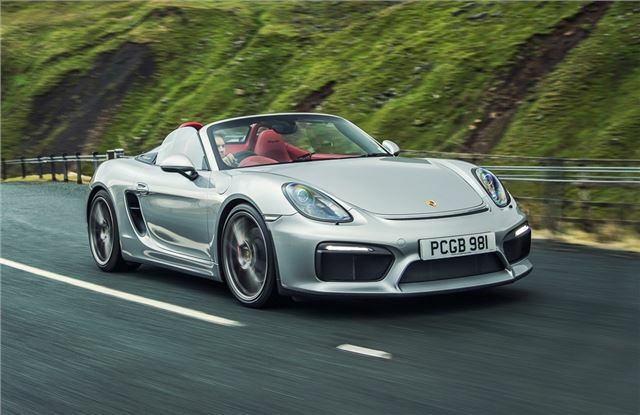 Like the previous Spyder, the Boxster is aimed at track enthusiasts, with Porsche using aluminium body panels, lightweight bucket seats and a manual folding fabric roof to shed weight. The radio and air conditioning have also been dispensed in the quest for performance - although both can be added as a no cost option. As you might expect, the handling is light and nimble, with direct and responsive steering that combines sharp responses with near-perfect balance. The Spyder will easily reach 100mph in under six seconds, while its 1300kg kerb weight will leave all but the most accomplished of track drivers in its wake. Like any track-focused roadster, there are sacrifices to be made in regards to refinement and comfort. 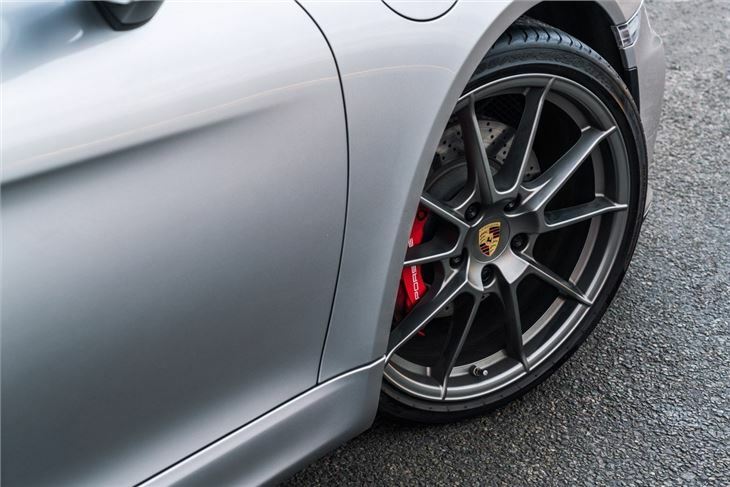 The Boxster Spyder sits 20mm lower than the standard version and employs stiff sports suspension which can feel harsh at lower speeds or when travelling over less than perfect road surfaces. However, if you can live with the bumpy ride, there is a huge amount of fun to be had fun here, with the high revving engine delivering peak power at 6700rpm. The Boxster is easy to drive and howls along with 911-like gusto, with its race car mechanicals producing huge levels of grip in the corners. 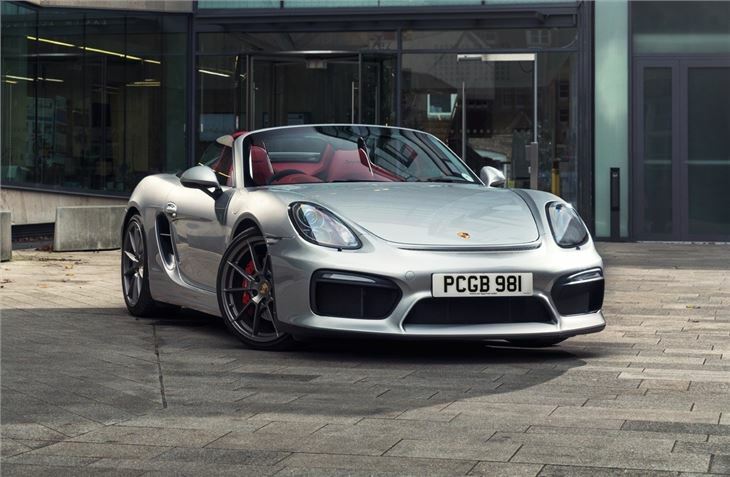 Power is delivered to the rear-wheels via a short shifting six-speed manual gearbox - there's no PDK here - but the wide ratios are perfectly suited to the high revving nature of the engine, which means you can hold it in a relatively low gear for corning. The Spyder is thirsty. Official fuel consumption is 28.5mpg, but spirited driving will easily half this. The manual fabric folding roof is fiddly too, which can leave you frustrated when trying to quickly secure the fittings in a sudden rain shower. That said, with the top down, the Boxster Spyder is one of the most rewarding roadsters money can buy, with its good looks complemented by a thunderous soundtrack. Some might take issue with colossal £60,000 price tag, but Porsche’s roadster is undoubtedly a classic in the making. 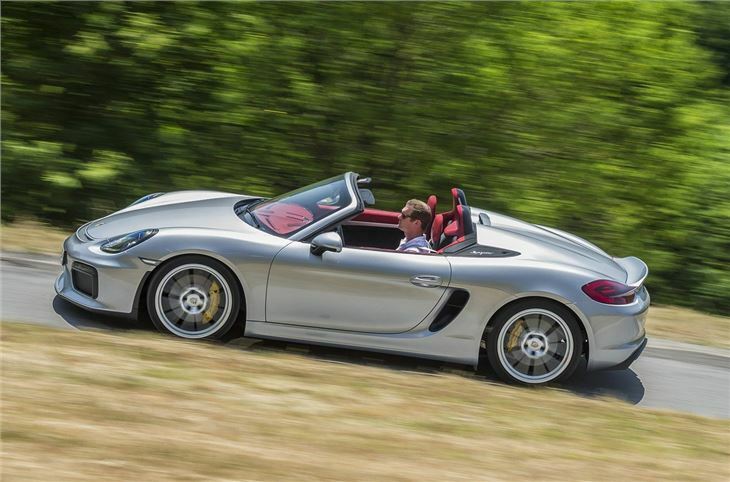 Even more so when you consider it is the last of the naturally aspirated Boxsters. Beautiful to look at, engaging to drive and thunderous to the ear, this is a fitting tribute and sadly the last of its kind.